Helicopter wine tours - Famille Rambier - Vins en Pic Saint-Loup, Vallée du Rhône. An unforgettable wine tour, an exceptional discovery of the Pic Saint-Loup region ! 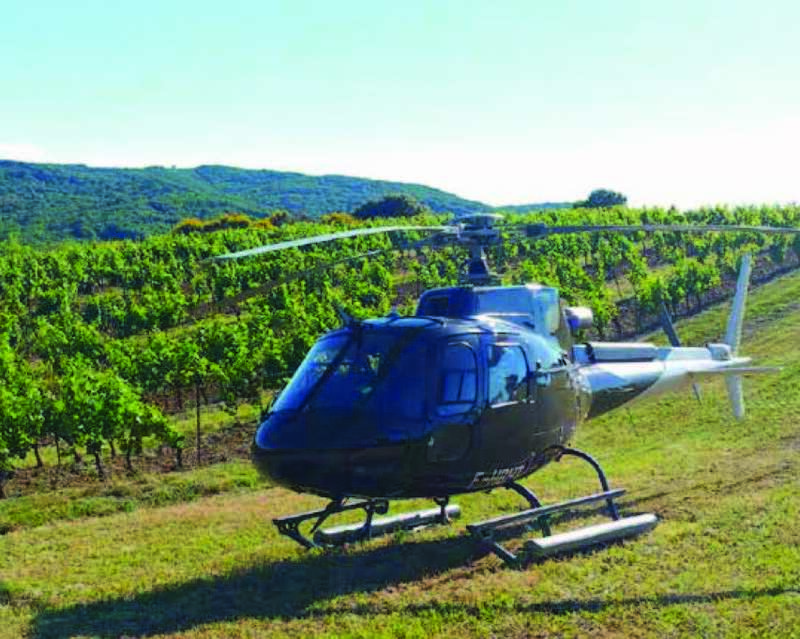 We have all dreamed of flying over the Pic Saint-Loup and its vineyards in a helicopter! The Domaine Haut-Lirou can make this dream come true. A new wine tour in the Pic Saint-Loup! From the Montpellier airport, you will head to the Domaine HAUT-LIROU flying over Montpellier, the Pic Saint-Loup and our vineyards. Once back at the estate, a complete visit of our wine-making facilities and a tasting of our array of wines. Return back to the Montpellier airport by helicopter. Commentated wine tour in an air-conditioned Defender 4×4 through our vineyards. A complete visit of our wine-making facilities and a private wine-tasting.